There are many reasons why so many people across the United States are investing into alpacas. Ownership is not limited to doctors, lawyers, accountants and veterinarians, but also handcraft artisans, city dwellers, celebrities, and families everywhere. Many have decided that alpacas are right for them. And those are just the more common examples. People from all walks of life are alpaca owners and breeders. Many people all over the world have decided that alpacas are an exciting and profitable venture. Alpaca breeding is an alternative lifestyle with strong income potential. 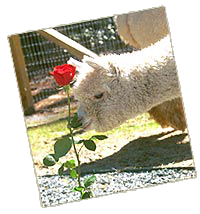 Alpaca ownership creates a wide array of tax benefits. Alpaca farming is a fulfilling lifestyle. 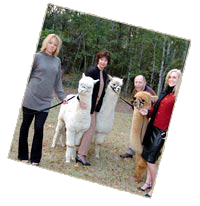 Alpaca ownership can include 2 alpacas to thousands! Alpacas provide a diversification in your financial portfolio. Alpacas create a commodity that is both rare and in demand worldwide. Alpacas are considered the “Aristocrat” of all farm animals. he fashion centers of New York, Paris, Milan and Tokyo. Alpacas have a charismatic manner and do well on small acreage. Alpacas live a relatively long and trouble-free reproductive lifespan.